At the beginning of my career I was living paycheck to paycheck as I was transitioning from one job to another. With no savings to speak of, I regularly bought groceries and gas using my credit card. That meant that most - if not all - of my pay went to covering the credit card bill. Finally I was able to balance my spending and started saving 15% of my income. But still, it wasn't so long ago that I was one paycheck away from financial trouble. 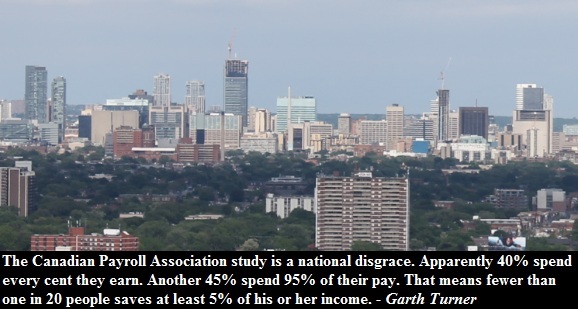 According to the Canadian Payroll Association 48% of people in Ontario live paycheck to paycheck. When the Toronto housing bubble bursts that number will be even higher! In today's blog post we will take an in depth look at the CPA survey findings. As usual, there are plenty of charts so read on. 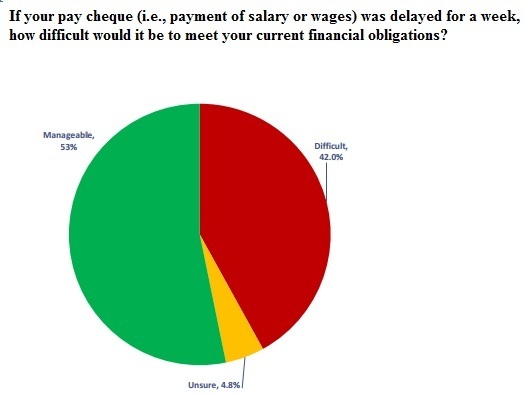 Overall in Canada, 42% of people live paycheck to paycheck. This is actually an improvement from last year, when 48% of people were living paycheck to paycheck according to the CPA survey. 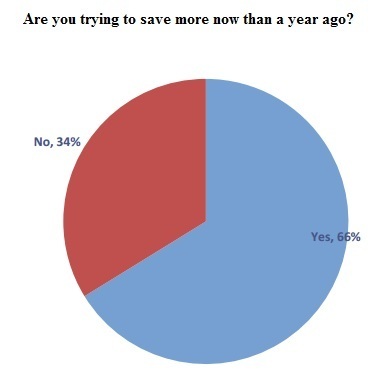 On the bright side, when respondents were asked whether they save more today than a year ago, the majority said yes. 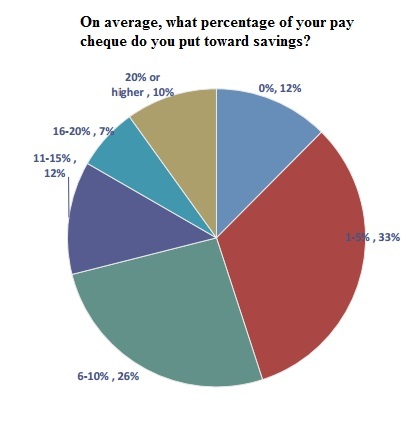 45% of Canadians put 5% or less toward savings. The rest saves 6% or more. Nevertheless the national savings rate in Q2 of 2013 was 4%. 40% of Canadians spend more or all of their net pay each pay period. 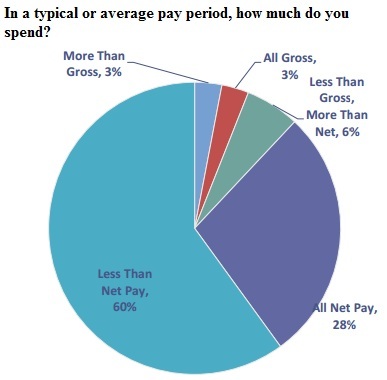 The answers below make me wonder whether respondents know the difference between net pay and gross pay. In case you don't, net pay is what you take home after deductions. Gross pay is the total amount of money earned. Now let's talk about retirement. 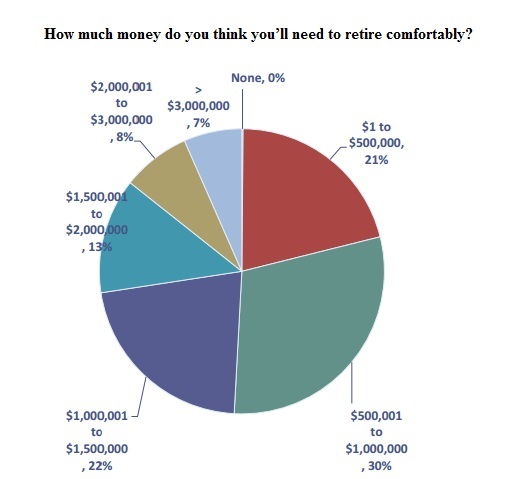 79% of Canadians believe that they need at least $500,000 to retire comfortably. 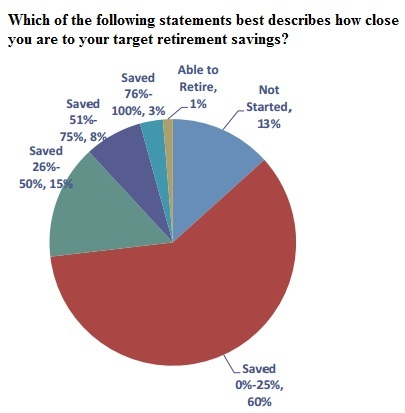 60% of Canadians have not saved more than a quarter of what they need for their retirement. 13% haven't started saving yet. 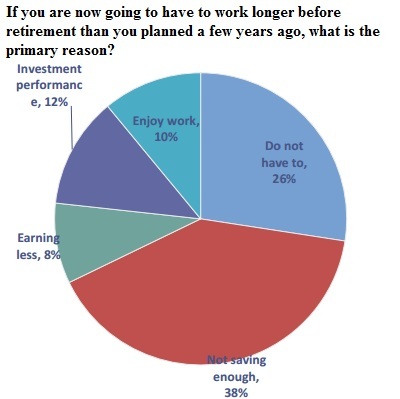 Only 1% of respondents have enough money to retire comfortably. Not surprisingly, the majority of Canadians who will work longer than planned blame it on not enough savings. You can view the original report by CPA here.